Turkey offers unparalleled opportunities for different experiences. From the cosmopolitic Istanbul, which is full of flavors, images and vivid people, to the beaches of Bodrum and the strange baths of Pamukkale. Our experienced team has been in Turkey and has traveled through Istanbul, Izmir, Pamukkale and Bodrum, after many weeks of careful planning, to find the best value for money places to stay, flights to transfer and experiences to have. 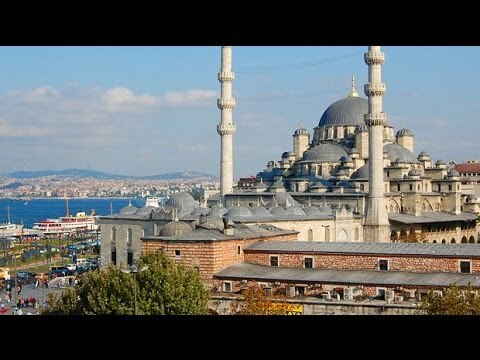 So, we are proud to offer you the complete 7 Nights Travel Itinerary to Tour Turkey, so that you can save many hours of searching the internet for information. For only 19 bucks, you can save several $ and many hours of your life, while – most importantly- you get some expert and unbiased help, on what exactly to do in 7 Nights in Turkey. 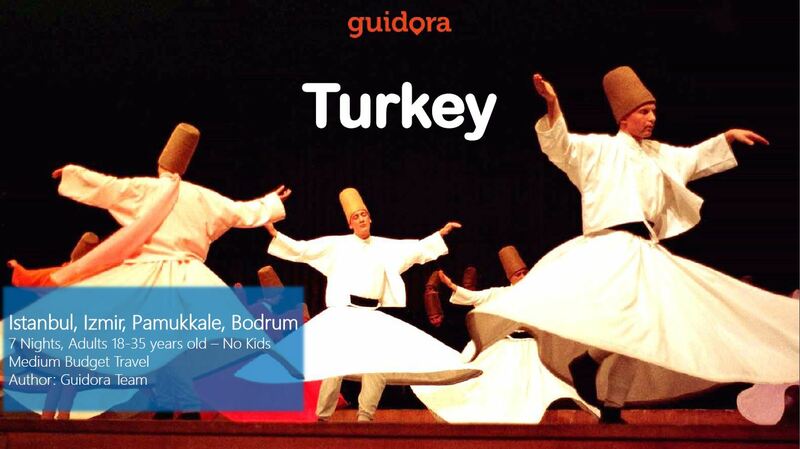 This is not a Lonely Planet Travel Guide to Turkey. With all due respect, we will not give you 20 different restaurants in Istanbul, 45 different bars to go out in Izmir, 100 hotels to choose from in Pamukkale etc. This is a Guidora Travel Itinerary Guide. We will give you only the best option for every day. After a thorough research, we have chosen for ourselves the best value for money places to stay, eat, go out etc, so you will get one perfect plan. We’ve been there, done that, researched everything, so you will get all of this experience by choosing our Travel Guide. It’s like having your best friend in Turkey, guiding you around and showing the best that Turkey has to offer. Still need some inspiration regarding Turkey? Have a look at the videos below. Sounds good? Ready for Turkey? Get The Travel Guide Now!